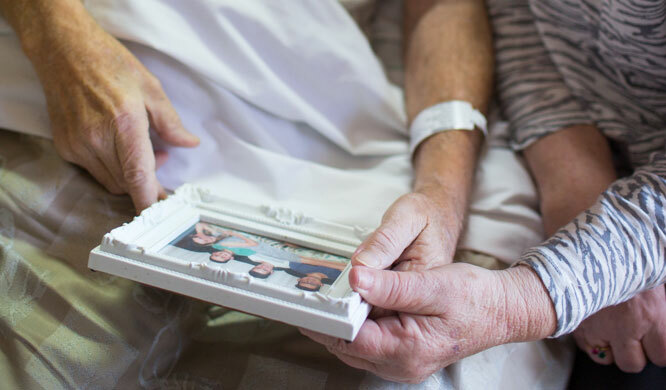 This special service gives patients time to reflect on their lives in whatever way they want – a life story, a reflection of specific moments in time or even tributes to loved ones. It is about sharing words and affirming the value of each person’s life. Volunteer biographers capture the spoken word in a book which is given to the patient before becoming another treasured memento for their family. "I'd also like to thank God for you because you have taken time out of your day for me … it is a marvellous thing. You put in the effort and without you I couldn't have told this story. So it has become a blessing … for you, for me and for many others along the way."